A complete package from Bond Street Properties. Bond Street Properties offer so much more than homes for sale or rent, with a financial services background of over 30 years they can advise clients on everything from Mortgages to Pensions plus Savings and Investments too. 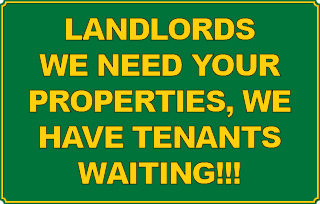 Due to unprecedented demand Bond Street Properties currently require more Landlords to match our ever increasing tenant’s waiting list. As an added incentive for Landlords we offer a Finders fee of the first months rent, which includes our marketing and advertising plus all tenancy verification. Our full Let and Management Service is the first month’s rent and 10% of the ongoing monthly rental income. If you are looking to sell your property Bond Street Properties have an added incentive to sell your house for just £595 why not give us a call for a free no obligation market appraisal as they currently have potential buyers for Leigh, Atherton and surrounding areas. Bond Street Properties offer an ethical way of dealing with clients which includes a holistic advisory process with each client and continuous customer support through regular contact and reviews, giving what they believe to be the best service available in today’s sometimes confusing property and financial services market. Finding the right Independent Financial Adviser can be a complicated and daunting process however at Bond Street Properties they strongly believe that they offer independent, whole of market advice along with professional service whether it be for an individual or a company. With Sales, Lettings and a full range of Independent Financial Services all under one roof they really do offer the complete package!